Are you a godparent or sponsor? What do you do in this role to help pass the faith on? Share what you do to connect with the godchildren in your life. 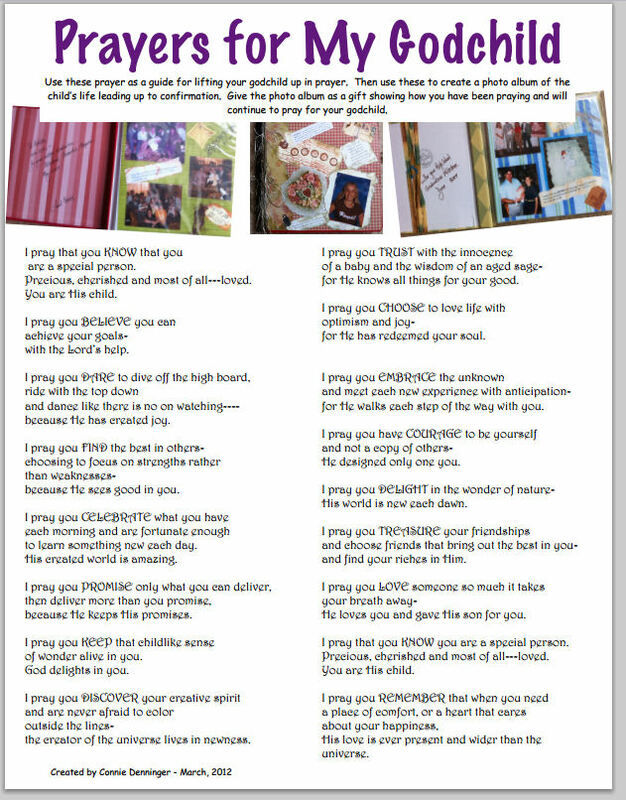 Prayers for my Godchild – Download this PDF for prayer ideas – You can also use these prayers to create a photo album of your godchild as a gift for their confirmation. Are you a godparent? What do you do for your godchild to help them as they grow in the faith? What plans do you have to guide them towards Jesus and heaven as their home? This video explains the concept and role of godparents (sponsors). Download a PDF of prayer ideas for godparents to pray for their godchild. you are a special person. Precious, cherished and most of all—loved. because He has created joy. than weaknesses- because He sees good in you. to learn something new each day. His created world is amazing. because He keeps His promises. of wonder alive in you. the creator of the universe lives in newness. for He knows all things for your good. for He has redeemed your soul. for He walks each step of the way with you. He designed only one you. His world is new each dawn. and find your riches in Him. He loves you and gave His Son for you. I pray that you KNOW you are a special person. His love is ever present and wider than the universe. Resources for further training and ideas. Water, Come Down! The Day You Were Baptized.